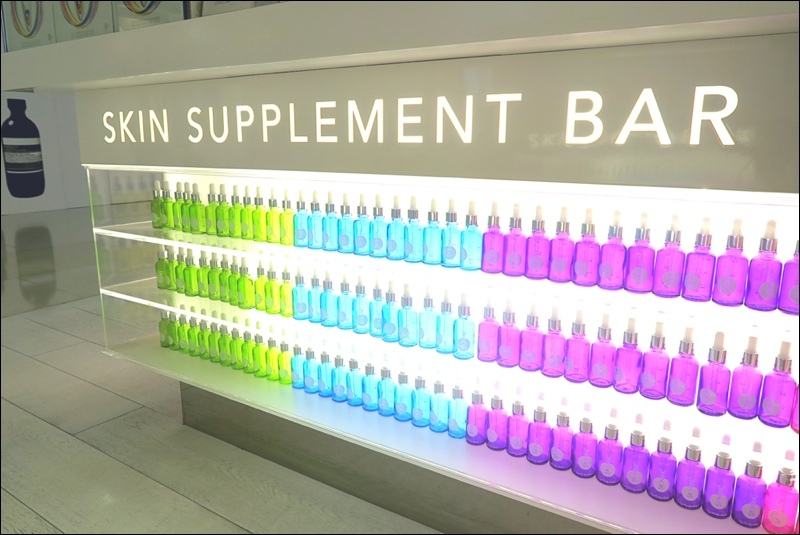 At Skin Inc Supplement Bar, you can be a scientist for a day and make your very own customised blended serum – so you know that the ingredients are exactly what your skin needs! 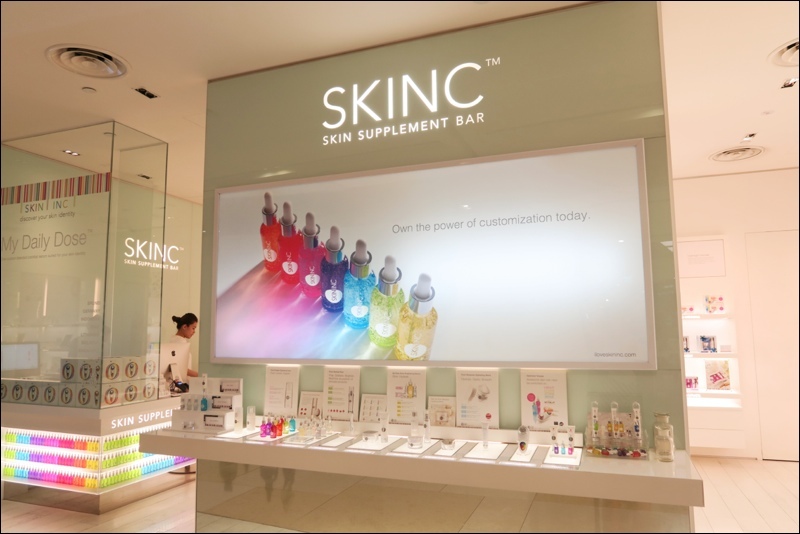 I visited Skin Inc in Singapore, where the brand has its very own store inside Orchard Turn mall (Skin Inc can be found in Sephora in other countries). Immediately, I was drawn to the clever, clean shopfront design. Another shot of the pretty shopfront. Love the contrast between the white and the bright colours! Time to get started on the customised serum creation process! 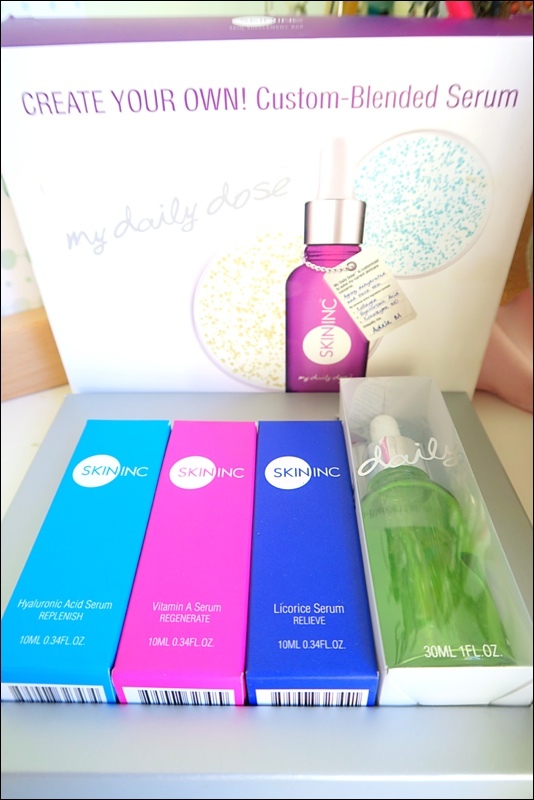 Skin Inc offers 12 essential serums, each with one key active ingredient, each one targeting a particular skin condition. 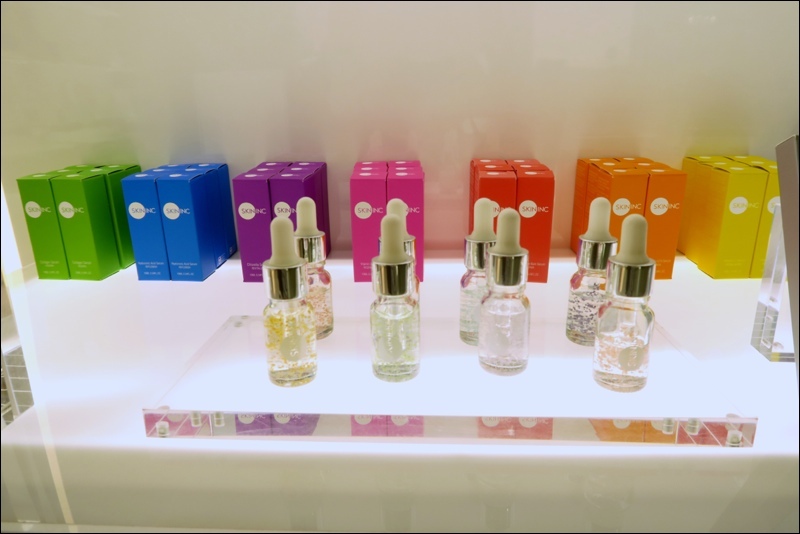 Skin Inc recommends choosing 3 ingredients to blend together to create your very own serum. Each serum has a clear, gel-like consistency and comes in a clear glass container with a dropper – exactly like science equipment! 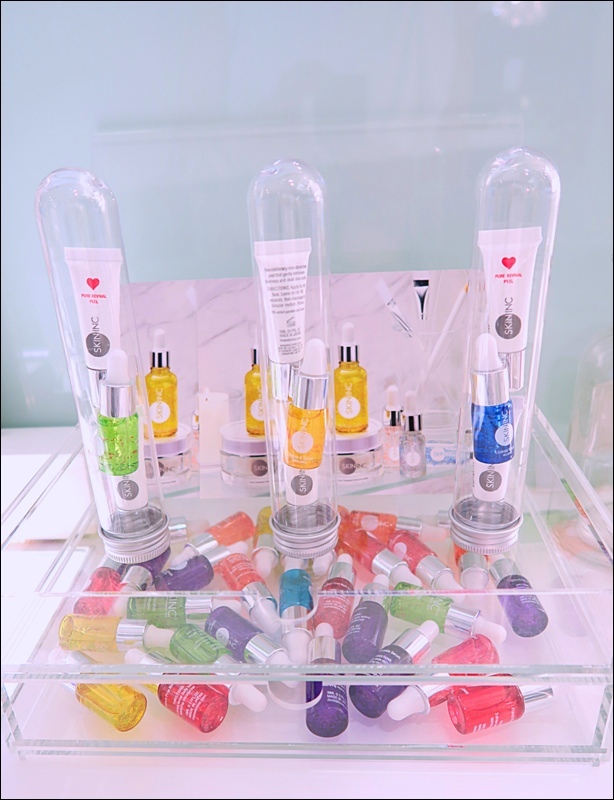 The dropper is used to pick up the product to transfer it to a slightly larger empty bottle (there are lots of pretty colours to choose from!). 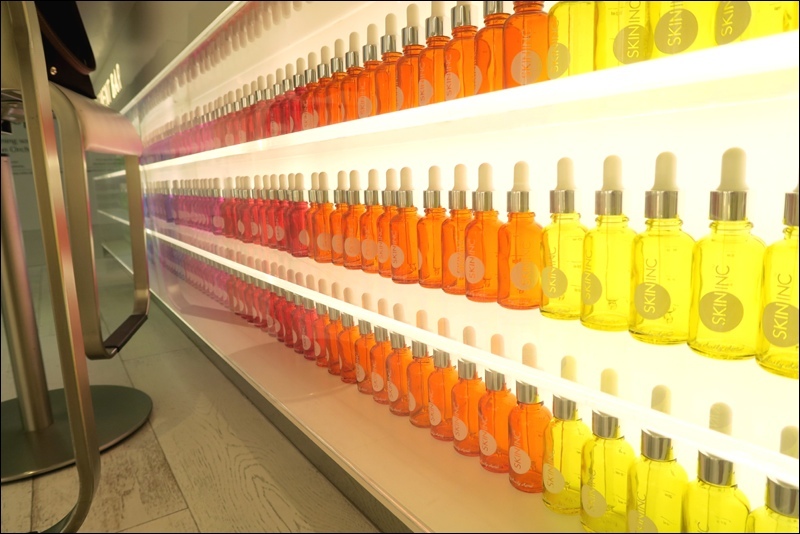 After mixing the ingredients, voila, your very own serum is created! 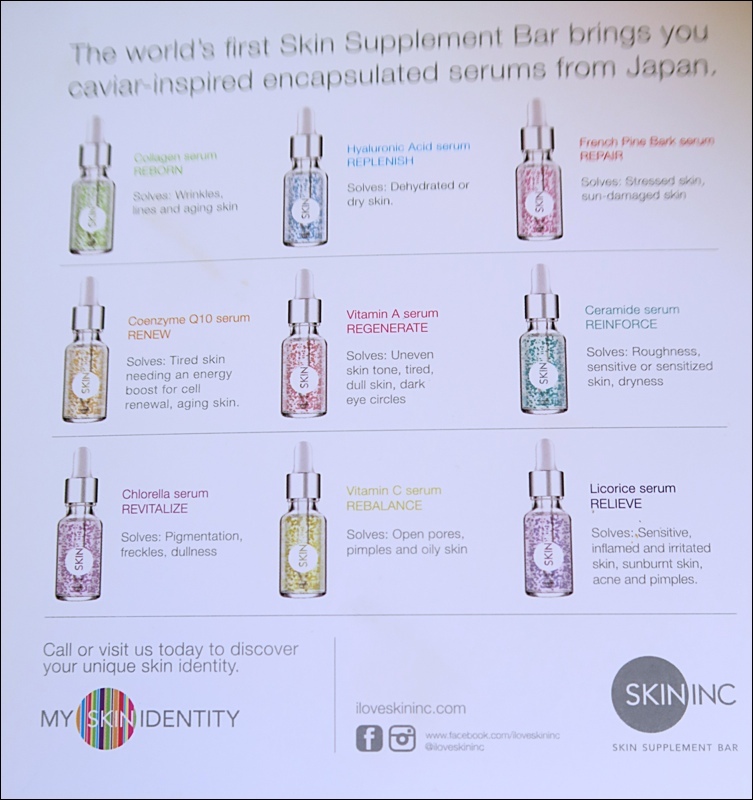 Prior to visiting the store, I completed my own detailed ‘Skin Identity’ test on the Skin Inc website (for free) to find out which ingredients my skin was thirsty for. Turns out I needed hyaluronic acid, vitamin A, and licorice. From experimenting with other skincare products, I know that products with hyaluronic acid worked wonders for my skin, so I knew I could trust the results of the test. 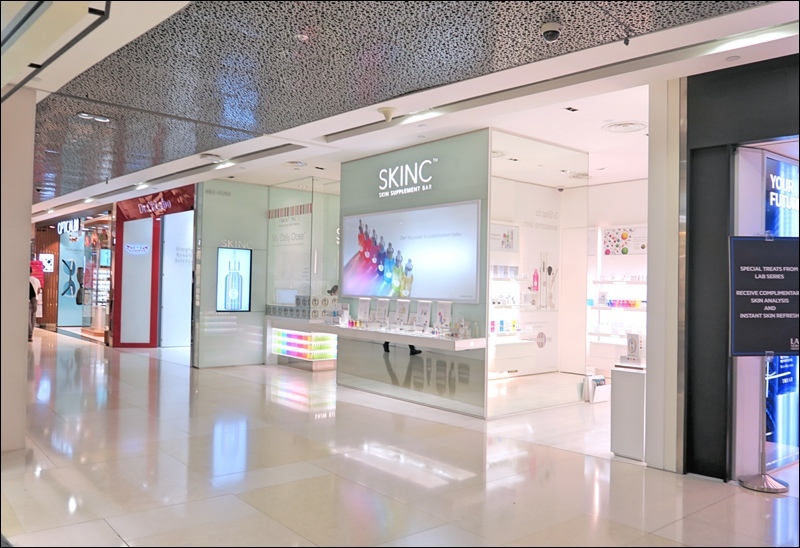 If you’ve forgotten to do the test, the store in Singapore has iPads for customers to complete the test, as well as helpful staff on hand to analyse your skin and explain the function of each serum and their recommendations. All 12 individual serums are sold separately, so you can control the number of serums that go into your blend. 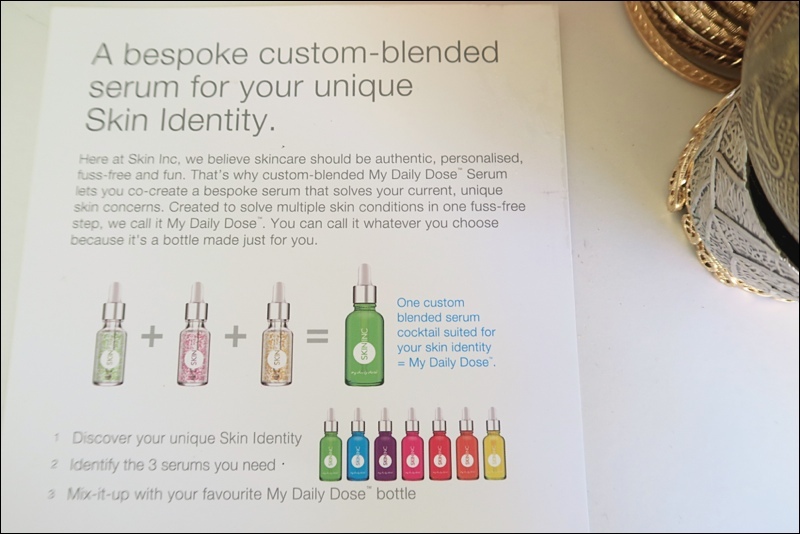 Skin Inc recommends mixing 3 serums, but mixing from 1 – 4 serums also work; or if your skin condition has changed and you need to add another serum to the mix – that’s easy to do. It’s that customisable. As for the results? I’ve been using my very own serum each night for 2 weeks and I absolutely love it! My face looks so much brighter, younger, refreshed, and the results last well into the next day. I cannot rave about it enough. This product is definitely going into my list to repurchase!